Another vehicle ran a red light and crashed into the police car. 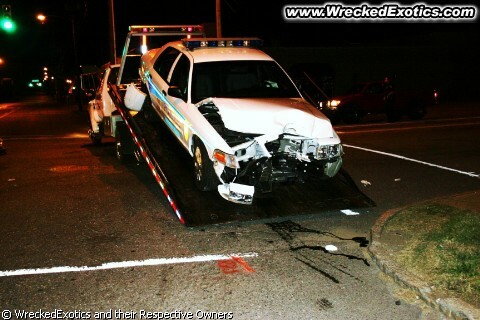 The police car then hit a telephone pole. Everyone OK.